China Mobile , the world’s largest carrier by subscribers, tops the list of the world’s largest telecommunication companies again. The juggernaut widens its lead as its market value soared almost $10 billion year-over-year to a whopping $280 billion. 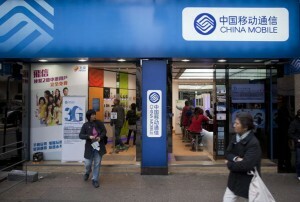 China’s other two state-owned telecom giants also make it to top 15, ranking No.10 and No.12, respectively. Verizon, which came second among the world’s telecom giants, took the No.1 title in America from AT&T T +0.32% this year. Verizon made headlines last week with its $4.4 billion acquisition of AOL AOL -0.04% – the giant’s latest foray into the content business. Thanks to a steady rise in sales and market value, Verizon jumped 4 spots to rank No. 22 in the overall rank this year.